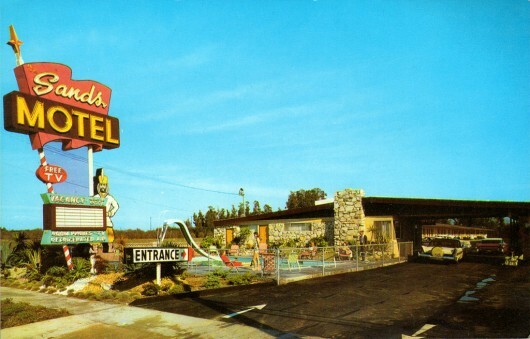 Mid-Century Postcard Photographs | Shelby White - The blog of artist, visual designer and entrepreneur Shelby White. 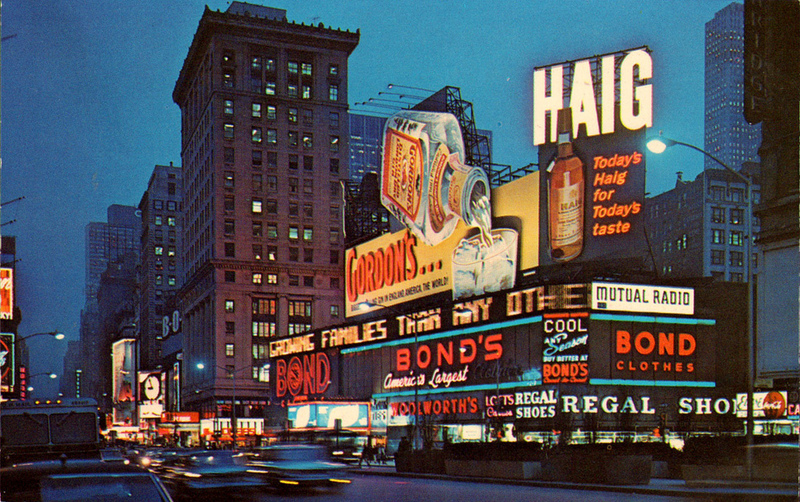 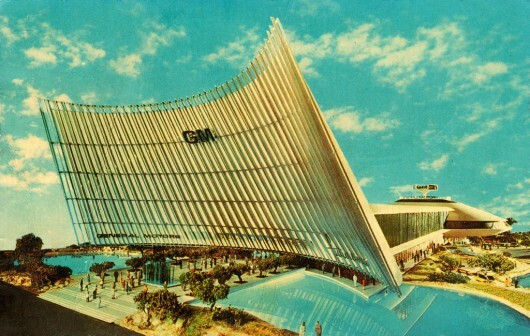 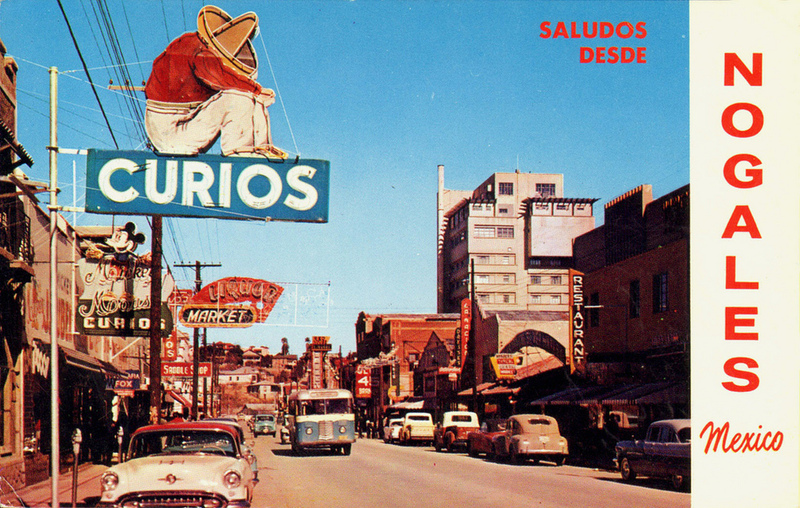 Stumbling upon mid-century postcard photographs is a lot like finding treasure. 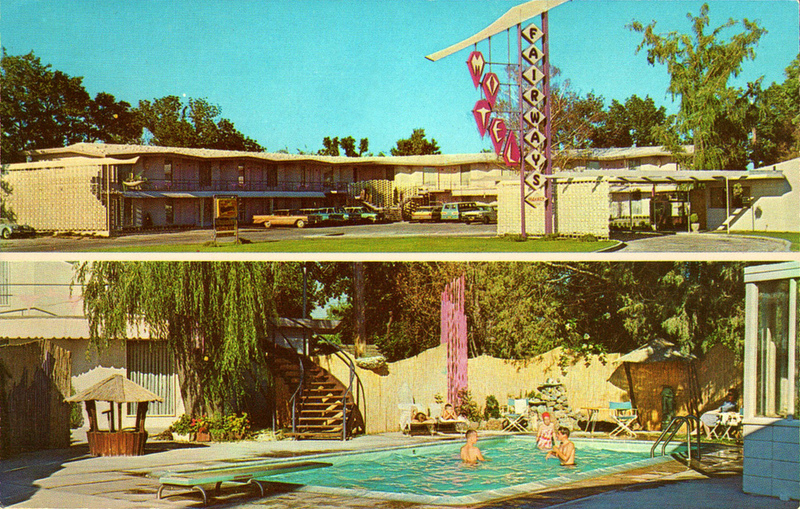 This set includes several locations, but the two that bring back memories are the Nogales and Sands Motel postcards. When I was a kid my family and I went into Nogales. 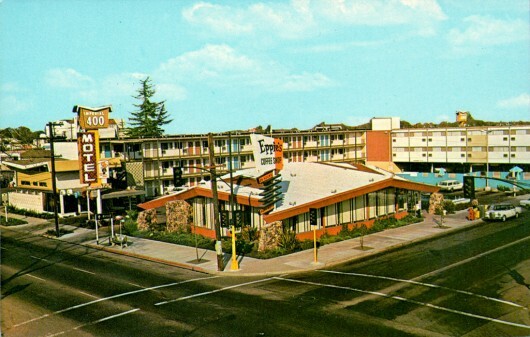 I don’t remember a whole lot except that Nogales didn’t look anywhere near as nice as the photo does. Found deep in this MCM Flickr Pool.